Travelers to the ABC Islands will experience great weather in the mid-80s year-round, clear blue oceans great for snorkeling and diving, and rich cultural and outdoor activities to make for a well-rounded vacation. The best part is that two of the three islands have direct flights from Houston. With a low hurricane threat and paradise-like atmosphere, they’re your best option during hurricane season. Known as the One Happy Island, Aruba gets more repeat visitors than any other Caribbean island. The island is comprised of 70 square miles and people from 90 different nationalities. 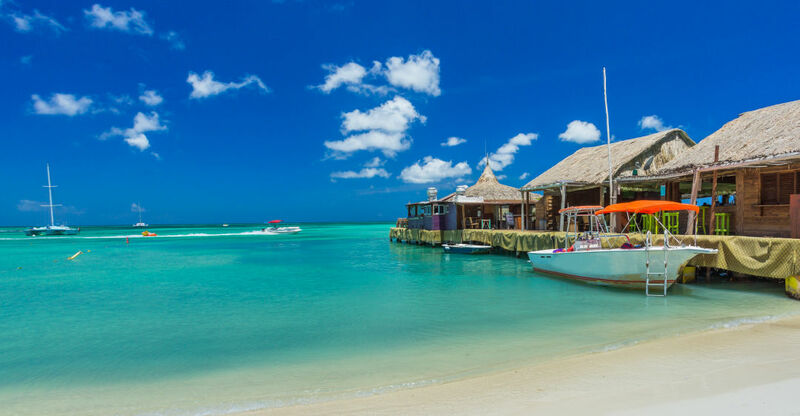 There are direct flights with Southwest and United between Houston, as well as cruises to the island from Galveston.When visiting Aruba, you’ll want to stay on the beach. Aruba Marriott Resort & Stellaris Casino is a perfect spot on Palm Beach, with stunning views of the ocean from most rooms, an adults-only pool, large fitness facility, casino on-site, and an impressive array of restaurants that serve everything from sushi to seafood. As far as things to do, De Palms snorkeling tours is a popular option. Ride a catamaran into the ocean to snorkel in the clear waters, see a sunken ship, and enjoy free drinks and lively music. Aruba has long been a large producer of aloe, and it’s this reason you’ll want to head to Aloe Factory and Museum to take a tour and buy top-notch aloe products for skincare. Adventure enthusiasts should head to Arikok National Park for hiking, exploring caves with rock paintings, and marveling at ocean pools. From the hotel, it’s easy to walk along the beach and grab a meal or snack. MooMBA Beach Bar and Restaurant is a fun spot with a rustic style, great cocktails, and a seafood-inspired menu. For a healthy snack, Eduardo’s Beach Shack offers smoothies, juices, and fruit bowls. The Restaurant at Tierra del Sol provides a romantic setting for couples next to a luxurious pool terrace. The same can be said of Atardi, Aruba Marriott’s pop-up beach restaurant that offers seafood and stellar views of the sunset. One of the best places to dive from is the Courtyard by Marriott Bonaire Dive Resort. This colorful property’s biggest selling point is an on-site dive center, though they also offer a pool, hot tub, restaurant, and bar. It’s situated right next to the capital of the island, Kralendijk—a must for shopping and dining—and a short boat ride from Klein Bonaire, an uninhabited island with great beaches and dive sites.Visitors will find that Bonaire has many outdoor adventures, from Washington Slagbaai National Park with its hiking trails and cliff diving spots, to The Salt Flats’s lovely pink lakes and salt pyramids. For a cultural experience, head to Rincon, the island’s oldest village, once a hub of the Dutch West Indies slave trade, and today home to plenty of local dance, art, and music influenced by African, European and Caribbean cultures. As far as dining goes, check out The Rose Inn in Rincon which has a cozy outdoor environment and some of the best Creole cuisine on the island. Have a delectable meal of seafood, beef, and local vegetables at At Sea, a seaside property in a home that dates to 1912. For something more laid-back, Julian’s Café and Restaurant, also on the waterfront, has an owner that loves to talk to visitors and make them feel welcome, along with hearty food. Curacao is the largest of the three islands, and quickly becoming one of the hottest island destinations in the Caribbean. Curacao stands out in numerous ways such as with the pastel-colored colonial architecture of their capital, Willemstad, which garners a lot of love on Instagram. You won’t want to stay too far from the colorful city, which makes Renaissance Curacao Resort & Casino a great option. It has a waterfront location, a stunning infinity pool, and is a short 10-minute walk to Fort Amsterdam over the floating Queen Emma Bridge. 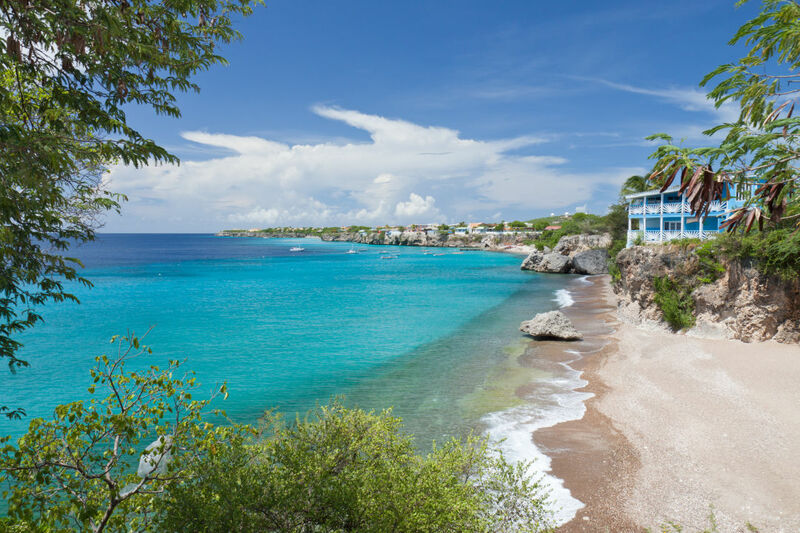 The best beaches of Curacao are located on the West Point area or “Westpunt.” Here you’ll find snorkeling, diving, and cliff jumping opportunities. Nearby is Christoffelberg, the highest point in Curacao, and a great destination for a vigorous hike. For something more culturally-focused, check out Kura Hulanda Museum, a museum that showcases African art and exhibits the history of the Trans-Atlantic Slave Trade. To explore the local flavors of Curacao, head to Plasa Blieu or the Old Market for traditional Curacaon cuisine. For fresh seafood at a great price, Sea Side Terrace is the spot for you. A romantic dinner here comes with a 360-degree view of the island, all from inside an 18th century fort at Fort Nassau. 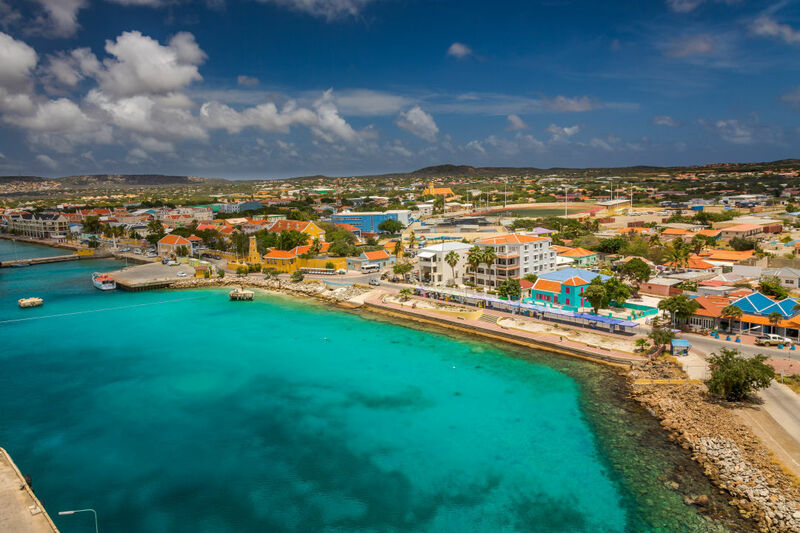 While Curacao is the only island without nonstop flights from Houston, it’s just a 30-minute flight from Bonaire—which is a pretty good deal for a hurricane-free vacation.